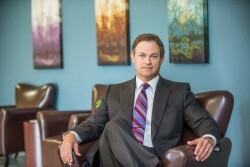 Paradigm Health System’s president shares his secrets to success. Inside the office of a Paradigm Health System physician, they’re hoping you find something a little different — a little more pleasant and relaxing than the standard medical practice. And in the immaculate, elegant Sterling Surgical Hospital, you might just feel (like a recent patient wrote to say) that you’ve entered an upscale New Orleans boutique hotel instead. Kevin Schneider, president of Paradigm Health System and chairman of the board of Sterling Surgical Hospital, says the secrets to success include better clinical outcomes; friendlier, more personal care; pristine patient-care environments; and a great work culture with invested personnel. A decade ago, when many physicians were fleeing private practice due to economic and competitive pressures from big hospital systems, Paradigm — as its name suggests — wanted to switch the model. “Our purpose is to provide physicians a bastion to remain viable in a private practice setting,” Schneider says. He explains that most physicians are caught in a conundrum of exchanging time for money, which is less than ideal for optimal patient care. Many are forced to do more in the same amount of time due to declining reimbursement, increases in practice expenses and the arduous process of electronic medical records. The multi-specialty collaborative approach to care is an integral component to Paradigm’s success, Schneider says, which translates to better diagnosis and efficiency in treatment. For example, a neurologist confers with a radiologist in real time to diagnose and then collaborate with a surgeon for expedient treatment. What could take weeks to accomplish in the healthcare field, can be completed in a couple of days. At Paradigm, the physicians govern the practice, so they have the ultimate say on standards. In addition, physicians are given profit-sharing and equity in the company so at retirement, they are not simply left to the stock market for their future financial security. As the only non-physician in the partnership, Schneider sees himself as a behind-the-scenes workhorse whose efforts go toward one goal: happy people. That includes equal focus on what he sees as his four customer bases: his partners; the company’s employees; the patients they treat; and the patients’ families. “I swing for the fences to do what I can to make this system successful for my partners … to help a patient make a bad day better … to empower employees to create an environment that affects change for patients and families.” If he won the lottery today, he says he would continue his work because it impacts the community so substantially. To that effect, Schneider finds himself covering everything from the “20-mile big-vision view all the way down to a 2-inch view, collaborating with employees on a specific situation.” He is directly involved with recruitment, facilitation between the boards and administrators, and incorporating what he calls a Google-like culture of collaboration and fun for employees. 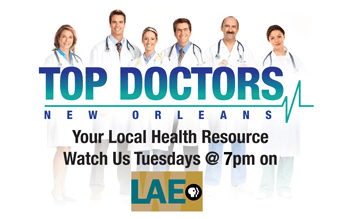 A Sterling Reputation: Everything comes together at Sterling Surgical Hospital in Slidell. Sterling Surgical Hospital invests in unique and creative ways to incentivize positive attitudes and outcomes for employees. Rewards have included: employee massages; car washes; bonuses throughout the year; meals from a classically trained chef; raffles for house cleaning service; and an inspirational book-of-the-month club.